Good evening, and welcome to my page. I'm a digital artist, seamstress, and indie game developer, that also shows interest in pixel art, animation, and cosplay! I'm a huge gamer nerd, so feel free to talk to me about any game! So con prep mode activated. No kigu commissions, art commission will be closed after I finsih these last two. Talk about a madhouse in my craftroom. I'll make sure to clean up and say sorry afterwards. 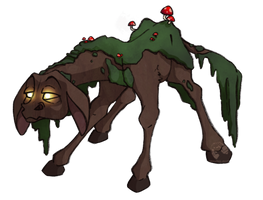 Thank you so much for favouriting my swamp donkey! Hey it was great to meet you at CMPC! Thank you for sharing your art~! Your welcome~! Thank you for the Favorite~!